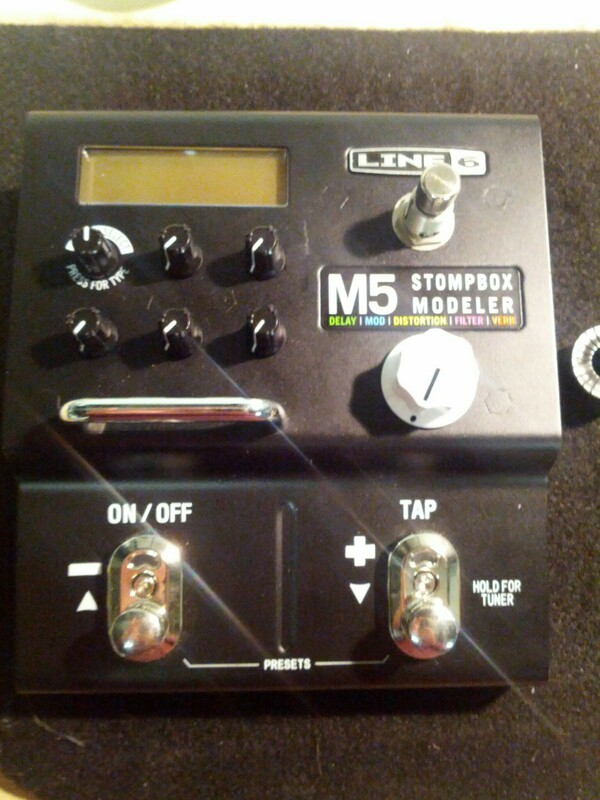 Line6 M5 “Expression Knob” Mod – Paul Aitken. Guitar. 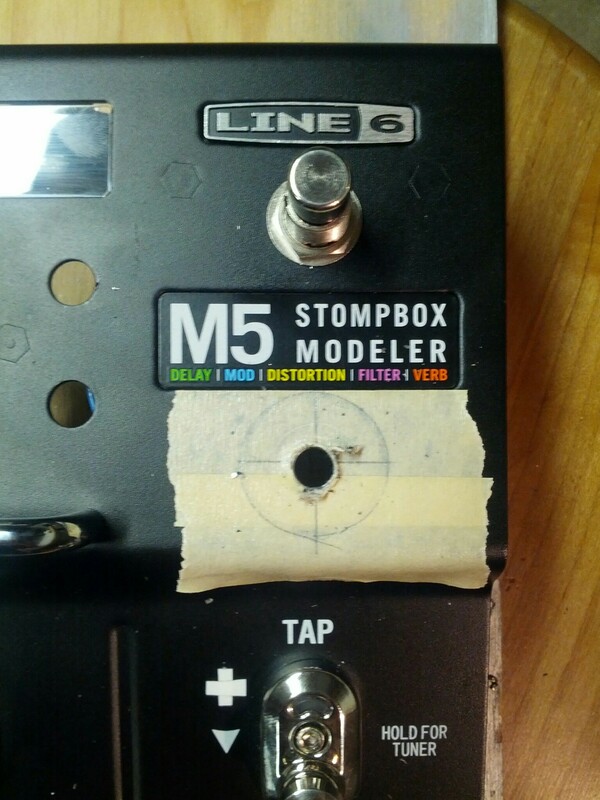 CAVEAT: If you do this mod you can’t use a Line6 -style expression pedal via the jack any longer (well, you can, but you only get half the “travel” between minimum and maximum – you never get all the way to your maximum). The stock switches share the same reference to ground, so you need just one (orange wire) to your momentary switch. The expression pedal jack on these is “switched” so when a plug is inserted it tells the UI controller to look for it. 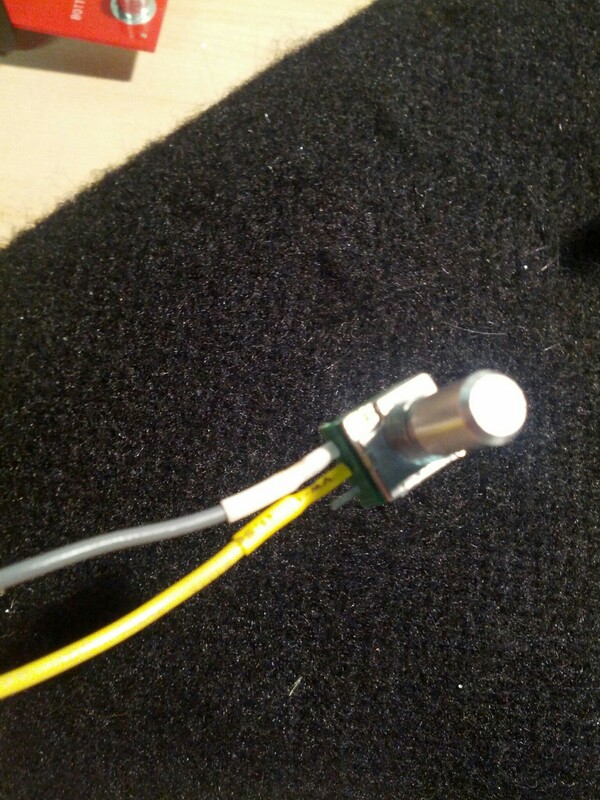 Take advantage of this by moving your gray wire to the “switched” Tip connection, then whenever you do use an external pedal it will remove the modded pot from the circuit and give you full range with a treadle. 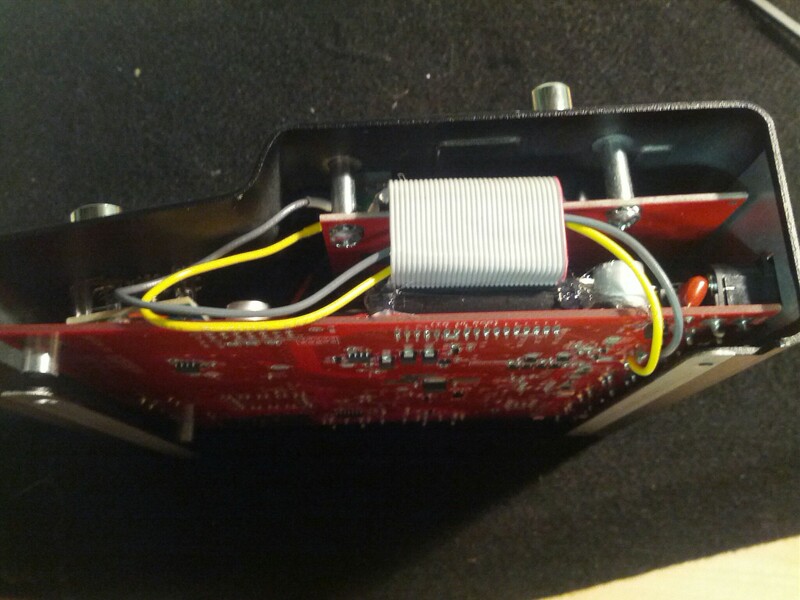 The mod is reversible (by disconnecting wires from the PCB, though you’ll still have the knob mounted). In my case, I once made two expression pedals out of old wah shells and 10k pots. I used these with an M13 for about a year. In a recent attempt to scale back my rig while maintaining functionality, I now use two M5s, and modded them with the dedicated scene select as mentioned earlier. 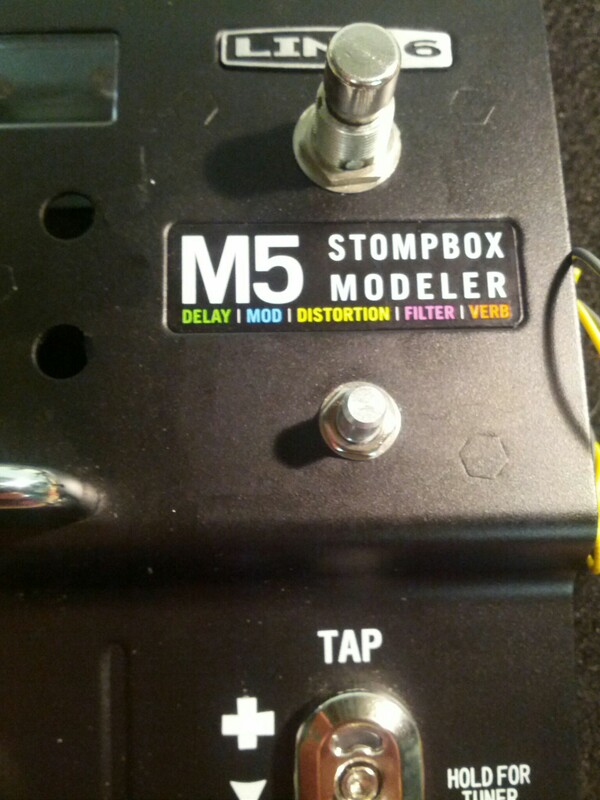 But, I also want to be able to take advantage of the expression pedal possibilities but don’t have room on my board for either the two wah-style pedals nor the expression switch/double preset mod which uses a fixed 10k resistor with a DPDT between tip and sleeve. So I decided to mount a foot controllable knob to the top of each unit. 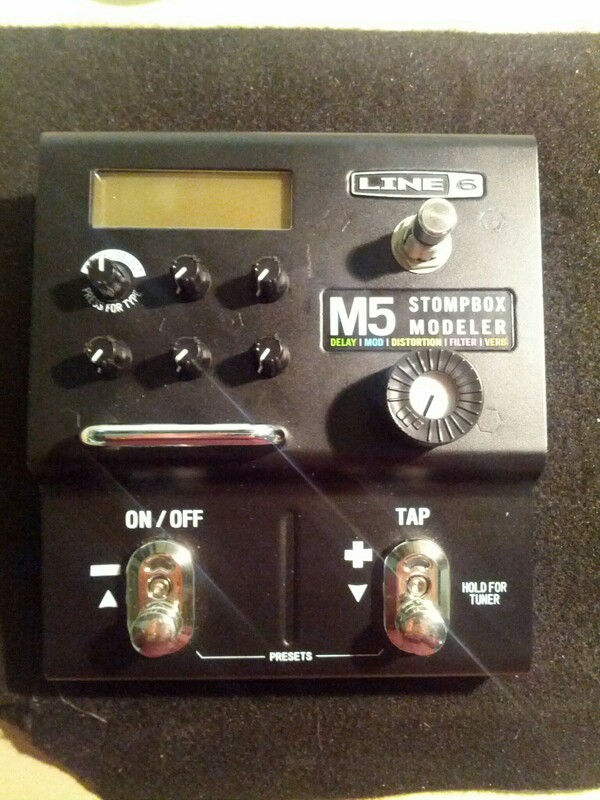 As usual, this could be done to the M9 and M13 and probably any other Line6 unit that takes an expression pedal. 1 – 10k 9mm PC-mount mini pot, Smallbear. It’s not possible to use standard size 24mm or 16mm pots for this job. 1 – Large MXR style fluted knob, Smallbear. 1 – Knob Cover, Dunlop ECB131, Smallbear. 1) Take the bottom off the M5, which is a bit tricky. 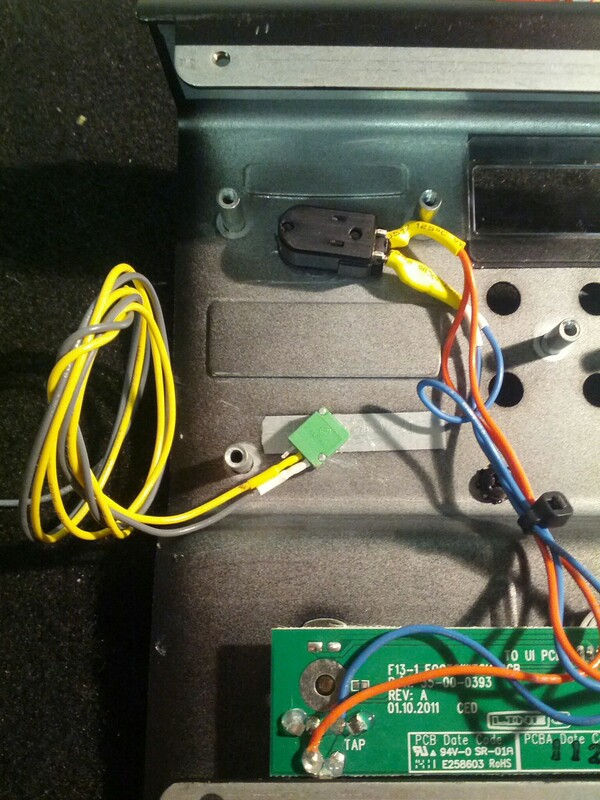 After removing the four screws on the bottom and the MIDI port screw, you need to push from the side opposite the MIDI ports, this will dislodge the bottom panel so that it can be easily pried up and removed. 2) Remove all the nuts from the jacks. 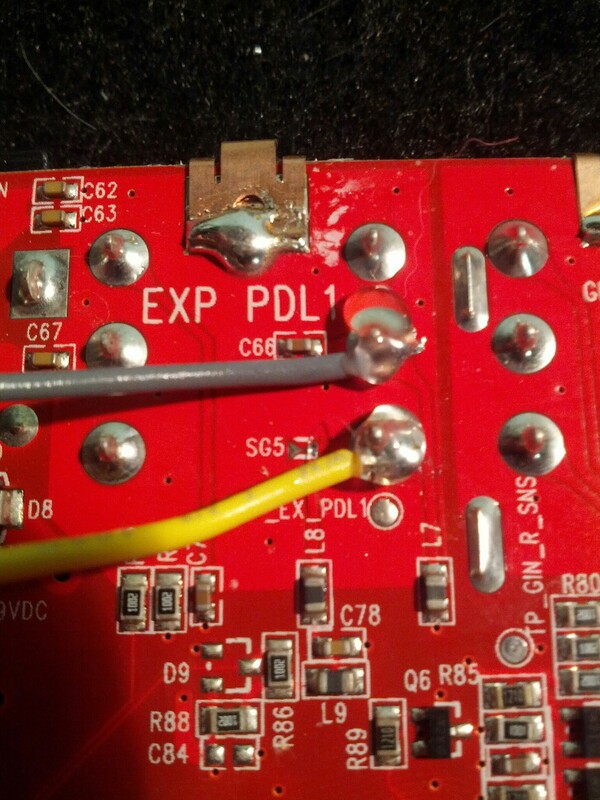 This will allow you to remove the main PCB. 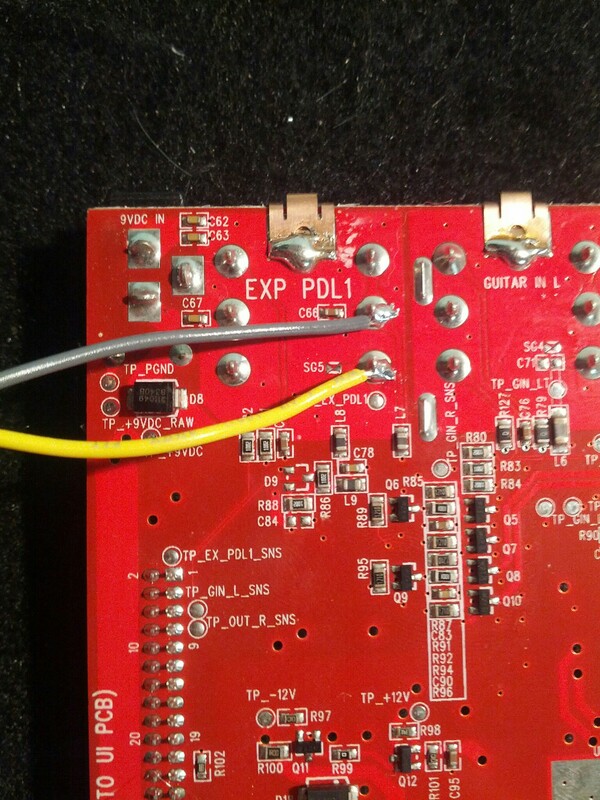 Make sure to disconnect the ribbon connector that connects this board to the upper board. Mine had hot glue holding it together. This was easily dealt with by using a utility knife to slice the glue near the connector joint. 3) Remove the knobs from the topside of the unit using a slot head screwdriver to gently pry them up. Unscrew all the silver screws with lockwashers that connect the second PCB to the standoffs inside the unit. Disconnect the quickconnect that connects this board to the footswitch board. …and use hot glue for redundancy. It’s actually quite easy to move, and you can approach it with your foot from a variety of directions. It doesn’t interfere with any of the footswitches either! Posted in General, Music and tagged line6, m5, mods, Music.